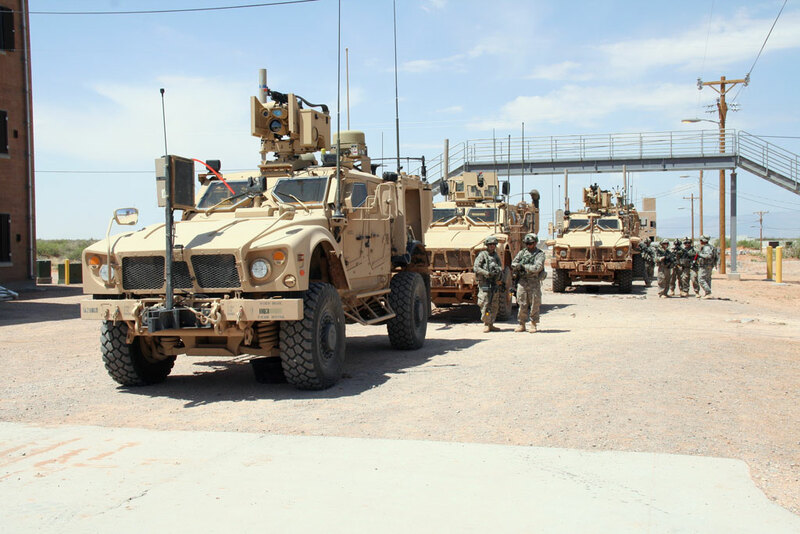 From division headquarters 1,300 miles away to the company commander crossing the white desert sand in his vehicle, Warfighter Information Network – Tactical (WIN-T) Increment 2 provided the on-the-move situational awareness and exchange of critical information needed in the heat of battle during its major operational test. The capabilities of WIN-T Increment 2 were put to the test in harsh, realistic operational environments during its three-week Initial Operational Test and Evaluation (IOT&E), which wrapped up on schedule at the end of May. The test was conducted in conjunction with the Army’s Network Integration Evaluation 12.2, the third in a series of semiannual evaluations designed to rapidly integrate and mature the Army’s tactical network. Most of the IOT&E was held at White Sands Missile Range, NM; however, to truly stress and test the network, WIN-T Increment 2 nodes were also spread across 2,000 miles of the United States. The test involved more than 4,000 Soldiers and civilians. Similar to a home Internet connection, WIN-T Increment 1, formerly known as “Joint Network Node,” has been fielded since 2004, providing Soldiers with high-speed, high-capacity voice, data, and video communications down to battalion-level units at-the-quick-halt. WIN-T Increment 2 introduces networking radios, enhances network operations for planning and monitoring, pushes capability to the company level, and supports operations while on-the-move. It is an important piece of Capability Set (CS)13, the first integrated group of network technologies to emerge from the Agile Process. CS 13 will be fielded to Army brigade combat teams starting in October. The WIN-T Increment 2 IOT&E was the Army’s record test to fully assess the suitability, survivability, and effectiveness of the WIN-T Increment 2 equipment with an operational unit. The analysis and test results are providing the Army with valuable feedback to make any needed doctrine, organization, materiel, or training improvements. The test results will be used to support the Full Rate Production Decision scheduled for mid-September. From a signal command and warfighting perspective, WIN-T Increment 2 brings efficiency to the battlefield and enables commanders to solve problems faster than ever, said SFC Adrian Jenkins, 15th Regimental Signal Brigade Training Evaluator for G-3/5/7. AMY WALKER is a Staff Writer for Symbolic Systems Inc. supporting Project Manager WIN-T, which is assigned to the U.S. Army’s Program Executive Office Command, Control and Communications – Tactical . Walker holds a B.A. in psychology graduated from the College of New Jersey.